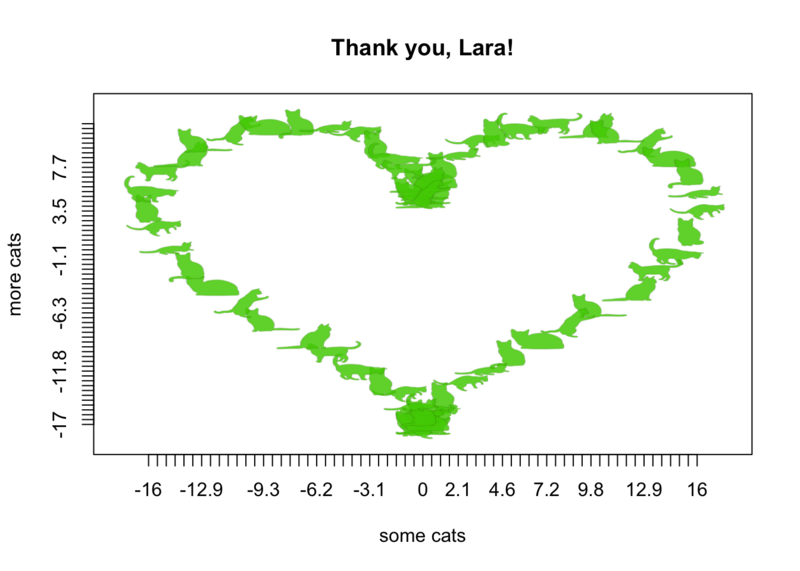 so we decided to write her an appropriate thank you note, using CatterPlots. ⊕ If you haven’t installed this purrrrfect package, you can install it from GitHub. Thank you, Lara! We appreciate you!